One of Croatia’s most prolific artists launched a petition protecting abusive priests from prosecution as part of a damning performance criticising the country’s “para-fascist” nationalist groups. 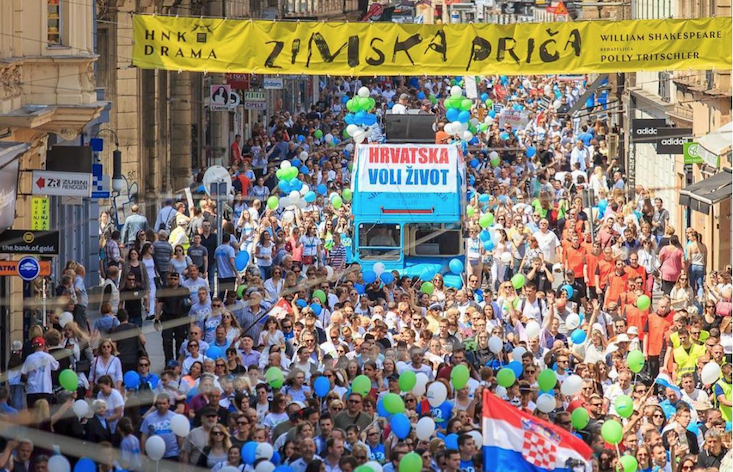 Siniša Labrović took to the streets of Zagreb in a small stall decked with Croatian flags and banners urging passers-by to “protect the Catholic Church”. The campaign wasn’t real — but 60 people gave their details, often without asking what the petition was actually about. Some were anti-abortion protesters taking part in the capital’s “Walk for Life,” which was taking place in the city at the same time.